The euro pallet is an important part of material handling history. Its origin can be traced back to the 1960’s, when it was used to transport goods during railway transport. This pallet’s design allowed workers to load the pallet in 10% less time due to its cutting edge design and load capacity. These advantages established the Euro Pallet as an industry standard. In European markets, they were used almost exclusively for forklift and warehouse operations due to their optimal sizing. The success of the Euro Pallet was followed by newly by imitations. 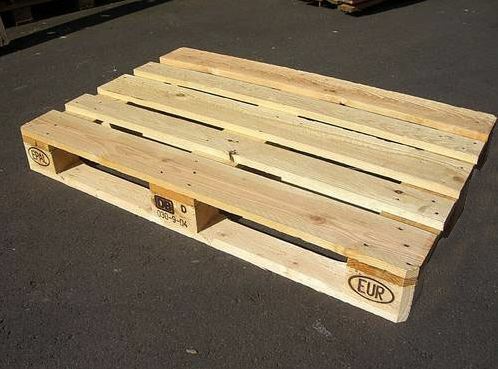 Many imitators produced low-quality imitations using inferior grades of wood in attempt to copy the design of this successful pallet for a lower price. Due to the misleading nature of these inferior products, pallets that met the standards were identified with the logo “EUR” or “EPAL” to indicate that the pallet had met the license and certification of quality. As time went on, word spread about his great pallet the europeans were using. As others around the world tried to get a hold of them, they realized that it did not work well in all of their applications. Especially when it came to certain International Organization for Standardization (ISO) shipping containers. Due to the great success of this pallet design, there were a few similar products, that are named in the same family. On came the EUR-1, EUR-2, and the EUR-3. All three of these EIR pallets are very close to the standard American 40 x 48 pallet. The EUR-2 pallet measures in at a larger size (47.24 in x 39.37 in). The EUR-3 has the same overall dimensions as The EUR-2, but the length and width are switched (39.37 in x 47.24 in). While European pallets are sized in mm, In the American markets pallets are sized in inches. In the American market 48 x 40 is the standard size in inches which is 1219 x 1016 mm. The EUR original is 1200 x 1000 mm which is 31.50 in × 47.24 inches. Below is a chart with conversions from mm to inches with their production rank and the industries that use them most in the United States. 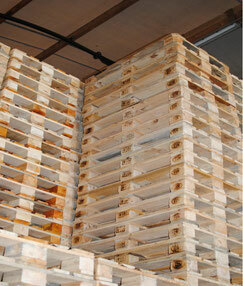 We offer many variations of the euro pallet, listed above are just a few of them. We’d love to hear from you – please let us know what other tricks you’ve used to save on freight – and check our our article on other ways to save money on pallet shipping charges.